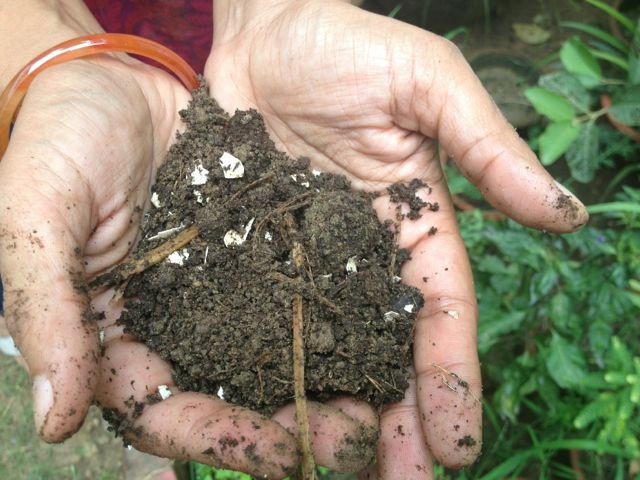 Part of organic agriculture’s climate resilience is in the soil, which contrasts with the industrial system’s by being a carbon sink and also helps mitigate periods of deluge and drought, which are set to increase with ongoing climate change. From the Center for Food Safety‘s Cool Foods Campaign, Food & Climate: Connecting the Dots, Choosing the Way Forward contrasts the dominant, fossil-fuel dependent industrial agriculture system with organic and agroecological systems, and shows how the environmentally-friendly approach is also the best hope for future global food security as it not only reins in runaway carbon emissions but offers climate resilience as well. The concept of resilience is key, report author and Cool Foods Campaign director Diana Donlon explained in an interview with Common Dreams. “Obviously, the food system is very vulnerable to climate change, and we want to design a system to make sure it is strong and resilient in the face of climate disruption,” she said. The report explains how the industrial agriculture system contributes to greenhouse gases, as methane spews from factory feed lots and gas is guzzled through transportation and processing. In aggregate, the report states, industrial agriculture is responsible for around 50 percent of all greenhouse gas emissions. Part of organic agriculture’s climate resilience, Donlon explained, is in the soil, which contrasts with the industrial system’s by being a carbon sink and also helps mitigate periods of deluge and drought, which are set to increase with ongoing climate change. Healthy soil is more resilient in times of drought and deluge. “Soil is really important for water retention.” Healthy soil “won’t erode, water will be able to percolate well for flood mitigation.” At the same time, healthy soil—which has not been doused with herbicides demanded in monocultures and the planting of genetically modified crops—is able retain water better in times of drought. Composting is one of the things people can do; in fact, it’s a “climate negative” not to because not composting sends things off to the landfill where they “come back to haunt us” through emissions, she said. Yet if this organic matter is added to the soil, there’s a climate benefit, and provides more nutrients in the soil for crops to grow. Read the rest of the story via Organic Agriculture: ‘The Way Forward’ In The Age Of Climate Change.